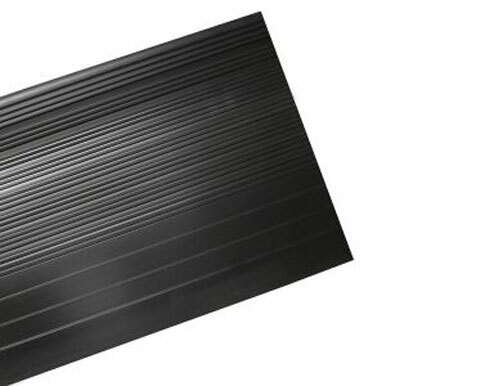 These general vinyl stair treads in black feature boast raised horizontal ribs providing excellent traction and a stylish appearance in high-traffic areas. The raised rib pattern allows dirt and moisture to fall between while maintaining traction. These treads are ideal in for commercial and industrial use. Typical installations include office buildings, schools, parking garages, apartment buildings, hotels, and churches.